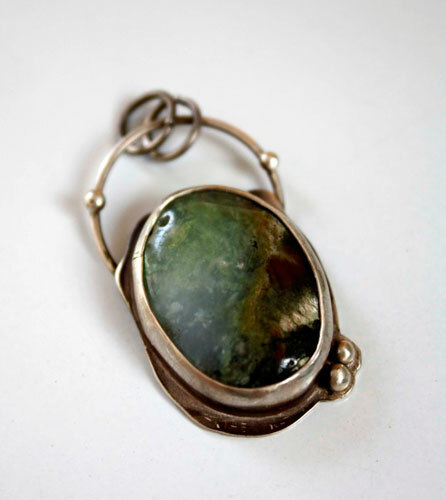 This pendant is made of sterling silver (925) made by hand in my workshop, and a beautiful chrysoprase. 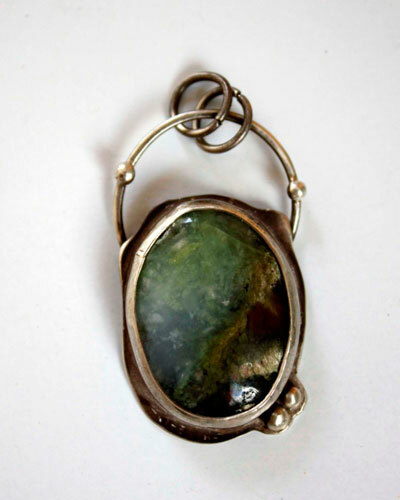 I named this pendant Mystery because of the unique reflections the stone owns. The stone is irregular on the surface because it has been cut with clusters of rock which are natural for this kind of stone. With such stones, it is very difficult to have a very smooth and perfect surface. You will notice some imperfections on the surface and it is normal. 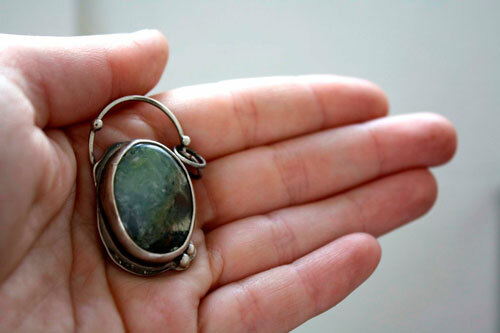 But this stone had such beautiful depth effects that I decided to make a pendant of it instead of keeping it in my drawer. 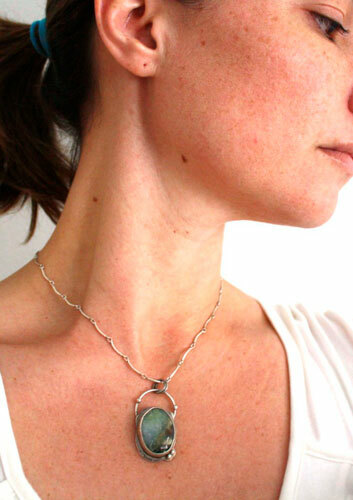 I designed this pendant as a fantastic mirror intended to be hung on the wall of a mysterious castle. The oval chrysoprase is crimped onto a unevenly cut sheet to give it a somewhat fantastic character. 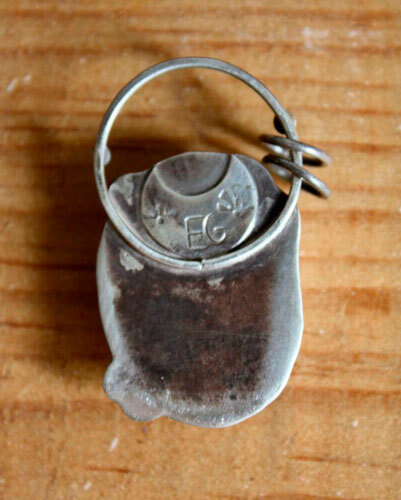 It is suspended at a slightly hammered ring. Silver spheres adorn the ring and one side of the pendant. They evoke planets, other worlds like those visible through the mirror. There are a lot of dreams and imagination in the little stone. Polished, oxidized and matte finish. 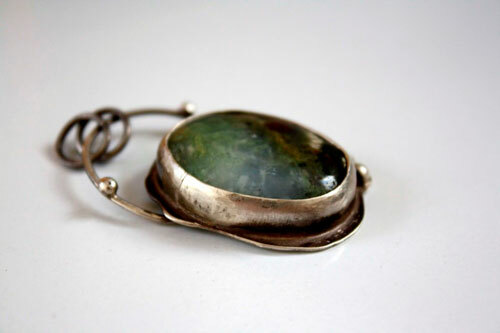 Tag: pendant, sterling silver, modern, unique, chrysoprase, ethnic, plant, gift, Valentine’s Day, Mother’s Day, birthday, cabochon, semiprecious stone, oval, mirror, magic, magical, another dimension, world, fantastic, strange, nature, elf, elven, creature, planet, strange mystery.